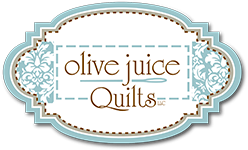 Olive Juice Quilts is proud to carry both Bernina and Baby Lock sewing and embroidery machines! With each machine purchase you will receive Mastery Classes for life! Mastery Class 1 : The Basics - Get to know your machine, learn how to thread, wind a bobbin, clean, and much more! Mastery Class 2 : Beyond the Basics- Learn how to manipulate stitches, do buttonholes, and much more! Mastery Class 3 : Embroidery - If you got an embroidery machine you will learn how to embroidery in this class! You will learn about stabilizers, editing, and much more! Click HERE to browse all of what Baby Lock has to offer! Click HERE to browse all of what Bernina has to offer!